Patricia (Freedman) Hall, 60, of Marlborough, passed away unexpectedly at home on Thursday, January 10, 2019. She leaves behind her beloved husband of 35 years, Ronald F. Hall. Patricia is also survived by her two daughters, Jillian A. Eldredge and her husband John of Barrington, NH and Rachel E. Kulik and her husband Adam of Hudson, MA; a son, Andrew C. Hall of Marlborough, MA; a granddaughter, Avery Thimo; six siblings, Jerome Freedman, Jr. and his wife Edith, James Freedman and his wife Shin, Maryann Freedman and her companion Toni, Susan Freedman, Elizabeth Doherty and her husband Justin and Edward Freedman and his wife Dianne and many nieces and nephews. 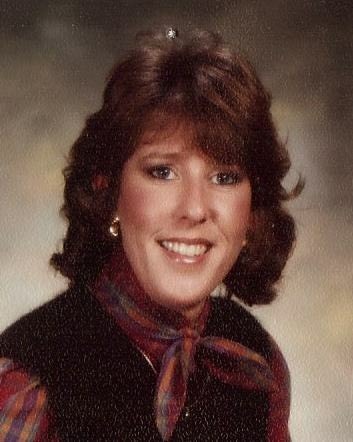 Patricia was born on December 4, 1958 in Winchester, MA, a daughter of the late Jerome and Margaret M. (Walsh) Freedman. She was raised in Weston, where she graduated high school. Following high school, she earned an associate degree and an RN in nursing from Lasell College of Nursing. Patricia moved to Marlborough in 1983, shortly after marrying the love of her life Ronald Hall. Relatives and friends are invited to a period of calling hours from 5 pm until 7 pm on Friday, January 18, 2019, at TIGHE HAMILTON REGIONAL FUNERAL HOME, 50 Central St. Hudson, MA. A Mass of Christian Burial will be celebrated at 10 am on Saturday, January 19, 2019 at Saint Julia Parish, 374 Boston Post Rd, Weston, MA. Burial will be private. In lieu of flowers, memorial donations can be made to: Sober Sisters Recovery at Malley Farm, P.O. Box 810, Somersworth, NH 03878; http://www.sobersistersrecovery.org or HOPE ON HAVEN HILL, P.O. BOX 1272, ​Rochester, New Hampshire 03867; http://www.hopeonhavenhill.org.